Our prescription HCG comes from a highly regarded Compounding Pharmacy here in the USA. It is derived and prepared from isolated and sterile human sources. Many other companies obtain their HCG from unknown foreign sources, or sometimes nonhuman, or facilities unlicensed and uninspected. Some even dilute their HCG. We have a Certificate of Analysis which proves authenticity and purity from our pharmacy! You receive 100% Pure Rx HCG. It’s a great way to see if you are a candidate for our program and get more individualized information! Dana Luchini, ME, CNT has been in the health and beauty industry for over 20 years as a Medical Esthetician, Certified Nutritional Therapist, Certified Hypnotherapist, Reiki practitioner and Minister. Believing in mind, body and spirit medicine after working with cancer patients and owning a healing salon & spa, Dana incorporated a holistic approach to skin care after becoming concerned with toxic ingredients. She opened a Natural Health Center, where she combined not only external anti-aging treatments but internal solutions as well. Dana has had extensive training in organic and toxic ingredients and chemical sensitivities. She believes that toxicity, deficiency, dehydration & pathogens play a huge role in most disease and illness. So Dana worked with a formulator to develop organic and toxin-free skin, body and household products. 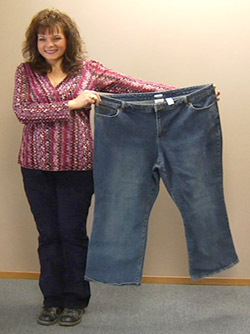 Currently Dana is owner of Healthy Aging Body™ Wellness & Weight Loss Clinic in Tacoma, WA. where she uses internal & external healthy-aging skin & body solutions for anti-aging issues which include the HCG Healthy-Aging Diet™ Weight Loss Program, nutritional counseling & supplementation, therapeutic therapies and the purest organic skin care options for rejuvenating and maintaining healthy skin & body. It's Dana's mission to provide healthy organic products and educate the public on the most nutritional solutions to better your wellbeing. Dr. Elissa Mullen, ND practices general adult medicine and specializes in chronic disease weight loss, bio-identical hormones and natural solutions to aging. Dr. Mullen is the developer of Seattle Wellness Programs, practices primary Adult care with an emphasis on wellness and endocrine disorders. 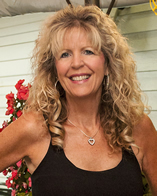 Elissa also has been the director and coordinator of hCG Diet Centers in Washington and California where she has worked with over 1,000 successful weight loss individuals. Elissa also has a specialty in LDN for MS, Fibromyalgia , Ulcerative colitis, autoimmune disorders plus more. 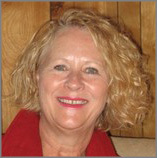 She is a Naturopathic Physician from Bastyr University having served on the Board of Trustees, Honor Board and President of the Health Psychology Program. Dr. Mullen’s Health Psychology thesis was on Response Shift looking at how individuals utilize change. She has worked in breast cancer research at the Fred Hutchinson Research Facility. She also has a special teaching interest in Biochemistry and the Metabolism of glucose, fatty acid synthesis, utilization and the hCG mechanism. She is very excited to be part of the hCG diet Program, which offers hope of not only weight loss, but weight maintenance and ongoing good health. Dr. Mullen's training as a Naturopathic Physician gives her a broad scope of understanding, diagnostic skills and treatments in her areas of expertise. Naturopathic Medicine is a branch of healing that combines centuries of old natural therapies with the current understanding of health and human systems. It encompasses all aspects of family health from prenatal to geriatric care, and emphasizes prevention and self-care. Naturopathic Doctors (NDs) embrace six major philosophies, the three that best summarize the foundation of the profession are Vis Medicatrix Naturae (healing power of nature), Primum Nocere (first do no harm) and Tolle Causum (remove the cause of disease). This refers to their belief of using the healing power of nature and the least invasive methods to treat the cause rather than just symptoms of disease. Naturopathic Medicine focuses on supporting the body’s innate ability to heal itself with supplementation of herbs, diet and nutrition, hydrotherapy, homeopathy and lifestyle management. "HCG has not been approved by the Food and Drug Administration as safe and effective in the treatment of obesity or weight control. There is no substantial evidence that HCG increases weight loss beyond that resulting from caloric restriction, that it causes a more attractive or “normal” distribution of fat, or that it decreases the hunger and discomfort associated with calorie-restrictive diets. Results may vary and cannot be guaranteed. Medical supervision and compliance with our program is required". *Typical results are 1/2 pound a day or 15 lbs a month on average.